I read “Em and the Big Hoom” and loved it. 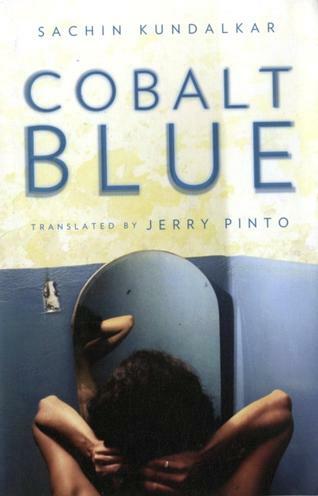 Loved it so much that I wanted to know more about the writer, Jerry Pinto. So I decided to conduct an E-Interview and here it is. Thanks a lot Jerry for taking the time out and answering my questions. 1. How much did the book take out of you on an emotional level? It must not have been easy writing it. Isn’t it? I remember a friend once asking me on a lazy day in a chickoo orchard, “Do you ever worry that with all the writing you do, you might write yourself away?” I did not know how to answer that because at one level, it seemed to suggest tahtt here was a mechanistic equation to the whole process of writing. The writer gives, the reader takes. But it does seem as if we talk about giving and taking. If the book ‘takes it’ out of you, what is ‘it’? And where does it go? How does the self reformulate itself? Even if this is not physical, even if it is not mechanistic, it is a source of worry. Where do the words come from? They well up, I suppose, generated by experience, pushed out by the desire to express something, oneself, another self, whatever. They keep coming or at least they have kept coming so far. If I don’t write for a while, I can feel them rushing out when I start again. This is horrible to say, I feel an atavistic fear about saying it. It’s as if I might magick the wellspring away. So okay, let’s start again. Every book has a cost. Some of the cost is emotional, some of it is physical, some of it is temporal. Every writer pays a cost and s/he must decide what she wants to do with it. I wrote hundreds of thousands of words. Why? I wonder now. I don’t know. I don’t think when I am writing I know whether it’s going to work or not. I know only that I am doing what I construe as my duty: I am putting the words down so that I will have something to work with. I am putting them down now, today, not tomorrow, not after I’ve had a cup of coffee and chatted to a friend, but now, because that’s who I am and what I do. I work with words. And when they have been written, then the sifting, the sorting, the pruning, the culling. This much is true for all writers who take their metier seriously. We all do this. Some material is easy, some of it is adamantine. But once you’ve chosen your mountain, once you’ve said to yourself, there’s a temple inside this mountain and I will chip away ‘not-temple’ to release it, you cannot go on complaining about the size of the mountain or the refusal of the rats to leave their homes. I don’t know. Tukaram has a lovely line in which he says that the candle never sees the light. How can it? ‘Tell me good Brutus, can you see your face?’ as Cassius asks and you know how that ended. 3. After close to 4 non-fiction books, how come the idea and inclination to write fictition? So here it is. After 20 years and 26 false starts…no…I think I should call them pit stops. You write, you roar along, it’s working well, the words are whistling in your ears. You wait and read and realise dismally, that you’re channelling a writer you love. You’re the clever schoolboy of your worst nightmares, the ones in which you play yourself and realise you are a grotesque synthesis of everything you ever wished to be, you’re a hand puppet, you’re a prosthetic device. But you salvage a scene here and a line there and with those you start again. This is a city of small flats. It is a city of hasty decisions, “unsuitable for song as well as sense” as Nissim Ezekiel put it. It is a city of glitter and gloss and glamour and grazes. It is a city in which I have lived for 45 years without air-conditioning or a car. My home had five people in it. Now it has two. I was crowded then. I am crowded now. Javed Akhtar says somewhere that every house has one room less. Is he right? I don’t know, I’ve never had a room to myself. The city was outside, somewhere else; it was other people’s responsibility. Now it comes in and prowls around the room and peers over my shoulder and asks whether I am human enough to try and change it. Imtiaz Dharker has a great line in which she says she collides with the city every day. She’s right; we all do. We collide with the city and we bruise it infinitesimally and we are left wounded and out of our wounds do we build whatever it is we build: novels, homes for the aged, poems, charities, plays, industries, short stories, housing societies, flash fiction, call centres. This novel, the work on Helen, Leela Naidu’s autobiography that I wrote with her, the anthologies on Mumbai and Goa and love poetry written in English, they’re all ways of dealing with the city and they’re all autobiographical. Of course, there are literary influences. Everyone has literary influences. Even if you don’t write, you have literary influences. When you quote the lines of a film song, you’re revealing a literary influence. When a bureaucrat writes “Kindly expedite” because he has seen it on a letter in a file, he is revealing a literary influence. I can’t enumerate my literary influences because I would have to name every single author, every single book, every magazine article, every facebook posting. They’re all there in my head, all fertiliser for what I harvest. 6. How easy or difficult was it to not make the writing too serious or to induce it with humour, as you have? I don’t do it that way. I don’t think: Hmm, this is getting too deep, now’s the time for some fun. You write it and then you work it and you know when it works and you know when it doesn’t. For me, I believe it comes from the fact that I have been writing for the last 25 years. 7. The book made me stop and think at so many places, about what we perceive to be the ideal family, till the unexpected hits us out of the blue. Also there were times when certain tracks were left mid-way. Was it intentional in the writing process? The Talmud says it beautifully: “One does not kill a man; one kills a universe”. And so to write about even one man is to leave some things unsaid, some moments unexplored. Those are the spaces that one leaves for the reader to inhabit. I wish I could actually draw up a list but every inclusion will mean hundreds of exclusions. I could do a list of what I think are my top all-time favourite books for the person I am right now but the person I am when I read this will regret some and wonder how I could have neglected others. I cannot do this. I really cannot. I am sorry but I cannot. This entry was posted in Aleph Books, Books, Interview and tagged Aleph Books, Em and the Big Hoom, interview, Jerry Pinto on May 10, 2012 by thehungryreader.